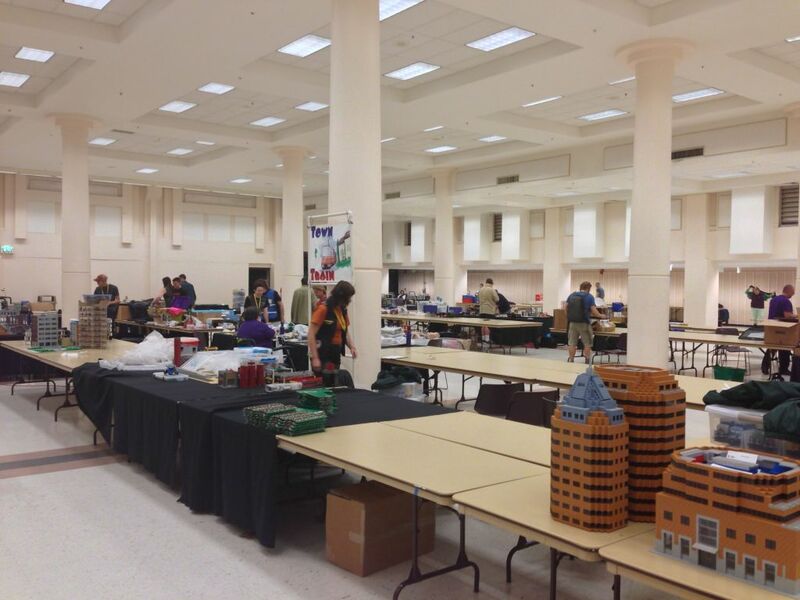 This last weekend I attended my second Lego convention: BrickCon 2014. 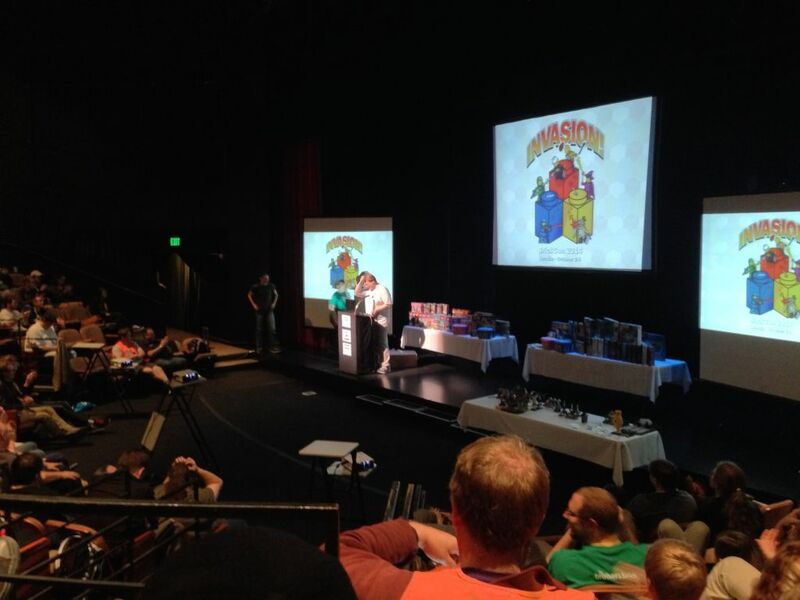 As the longest running convention on the West coast, BrickCon draws builders from all across the country and internationally. 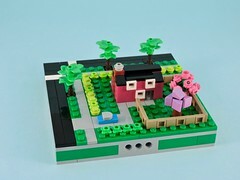 This would be my chance to meet some new builders and get to see their amazing creation up close. My ride picked me up early and I loaded my gear into his truck (I was taking 7 MOCs). 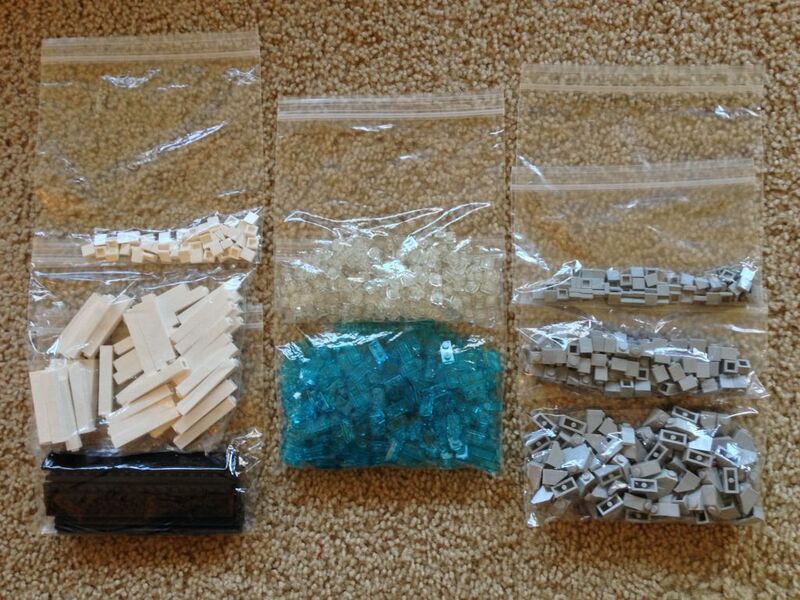 I was carpooling with three other guys from PortLUG, driving up to Seattle with our truckload of Lego. We had a couple false starts and had to go back for a forgotten badge, but we still made it in plenty of time for the opening ceremony. The first thing that struck me was how many more builders there were. Hundreds of builders packed the auditorium. For a rather shy novice, it was intimidating. Sets were raffled and welcome speeches given. It was a fun start. Back in the hall, I set up my MOCs, jostling for space where I could get it. I was definitely at a disadvantage in some areas where all the prime real estate had been staked out by builders who had arrived on Thursday. 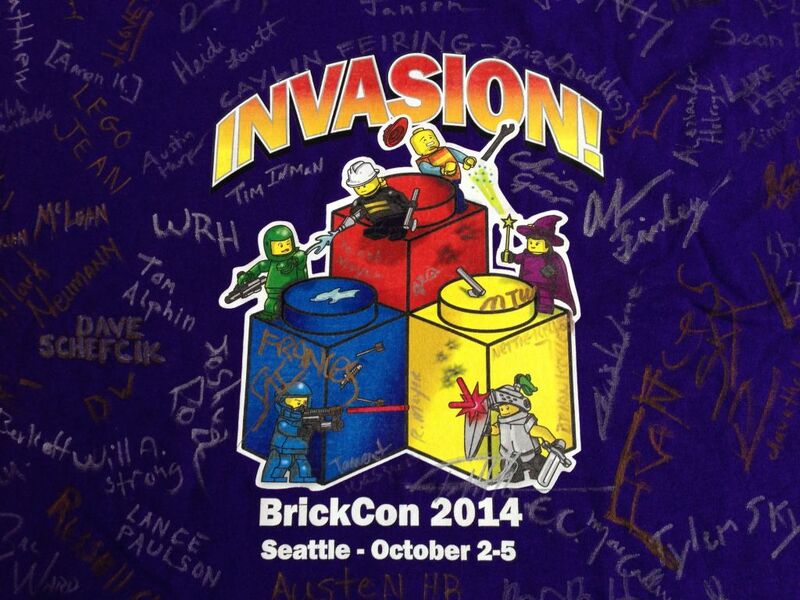 Like other conventions, BrickCon has a range of events for the attendees. I had brought sets for a pair of drafts, and I attended one that first afternoon. It was a raucous affair with dozens of people participating, so many that we were split into three separate groups. Though we were drafting a Friends set, my picks weren’t very representative of those bright, ‘friendly’ colors. I’m happy with what I got though and all those bits should be great for models that I’ve been thinking about. There was another meeting in the evening. The keynote speaker was Ryan McNaught, a friendly, yet profane builder from Australia. I had actually met Ryan already at my draft earlier in the day and he was pretty much my favorite person at the show, always engaging and drawing me out of my shell. At the end of a long day, I trudged across town to crash on a friends couch and try to get some rest. Arriving back at the convention hall, builders were frantically working to get their models ready for the public. I had passed a long line outside, kids and adults waiting for the doors to open. When those doors did open, the hall filled up with throngs of enthusiastic fans. It didn’t take long to reach the full roar that filled the exhibit hall for the rest of the public hours. It was a bit too much for me, so I retreated to the relative safety of the building next door that was being used for private parts of the convention. I had another very enjoyable draft in the afternoon. 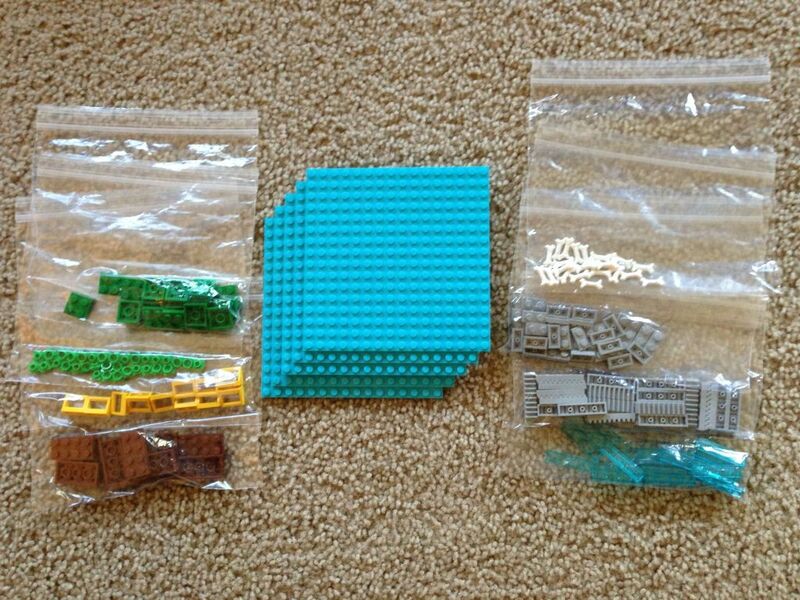 This time it was an architecture set and I managed to get large quantities of some lovely and uncommon elements. Saturday ended with the awards ceremony, where more sets were raffled and trophies were given out for the best models in various categories and themes. Though I am disappointed that I didn’t win any trophies, the models that did win were amazing and deserved the recognition. My last day turned out to be another long one. The crowds were big again and the builders were starting to get a bit green around the gills from extracurricular activities and adult beverages. The moment that the public left the hall, builders started packing up. There was a pause for the final ceremony, where the biggest awards were given out. There were a few more sets raffled too and I was hoping that I might get to go home with some swag, but no love. We had a long drive home, made easier by the knowledge that I would be sleeping in my own bed at the end of it. I have to say that I am left disappointed by my first time at BrickCon. That is primarily my own fault. I struggle to break the ice and socialize with new people, so I really didn’t talk to anyone that I didn’t already know and I certainly didn’t make any new friends. With so many builders in attendance, I should have realized that I might not go home with any swag. I’ve been spoiled by my experience at Bricks Cascade, where the organizers make sure that everyone goes home with swag and pretty much every trophy comes with a prize. 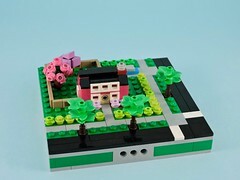 With only that experience in the past, I was frustrated to leave BrickCon feeling empty-handed. It is going to take me some time to process my feelings about the convention, but I suspect that I will go back next year. Knowing what to expect, and changing my behavior accordingly, I should be able to get more out of the bigger show. I can’t fault BrickCon for my mediocre weekend. There was a fantastic show happening all around me. Next year I’ll do more to insert myself into the flow and participate.